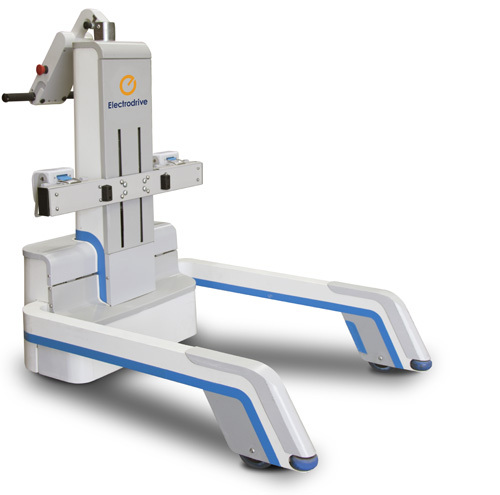 The Gzunda GZS Bed Mover allows one person to effortlessly move heavy hospital beds. The motorised unit operates equally well with or without a patient, simplifying the task of moving beds or patients between wards, departments, or to and from theatre. This allows the driver to focus on the needs of the patient during transport. With a capacity of 600 kg, the silent motorised unit is able move a hospital bed up or down ramps, over carpet, into lifts, and around tight corners with minimal effort by the operator. The GZS has easy to use controls, including key start, twist grip variable speed control, horn, and emergency stop button. As with all Electrodrive equipment, the GZS comes with a comprehensive 12 month warranty, including parts and labour. The Gzunda’s compact design, effortless manoeuvrability and detach-ability allows for safe and efficient management of a fleet of beds or trolleys within a healthcare environment. See how a bed mover can help keep you and your staff safe in your workplace. Need help choosing a Bed Mover?